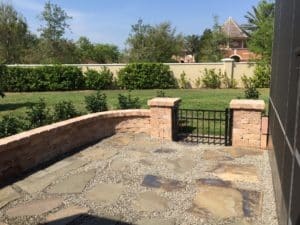 As your Orlando brick paver driveway specialists, Ground Source specializes in sod, irrigation, landscaping, hardscapes, and lighting for Orlando homes and businesses. With years of comprehensive industry experience, we have the tools and expertise to enhance and beautify your outdoor living space. This includes lawns that remain untouched during the winter months, along with driveways, sidewalks, patio deck concrete, retaining walls and other open, green space features and accents. 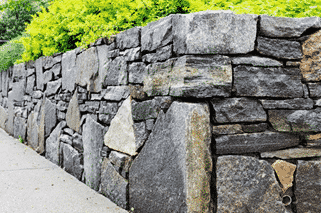 With complimentary consultations and free estimates, we are committed to excellence in meeting all your outdoor landscaping and enhancement needs. If your home or yard feels incomplete without professional brick paving, we are just a phone call or e-mail away. In fact, we give all new and existing clients peace of mind when it comes to their Orlando outdoor living projects. Since outdoor living is an essential part of the Central Florida experience, you and yours can relax and enjoy life with the right outdoor spaces for gardens, yards, and landscapes. In addition to lawn care, landscaping, and maintenance, our paving services continue to soar in popularity across Central Florida. There are many benefits of having your driveways and walkways professionally paved. For one, our highly-dedicated installers can make your home or business stand out on your street. Similarly, we can help increase the value of your property, along with your curbside appeal which is important when selling your home. Additionally, paved driveways offer more creativity and freedom than regular, boring concrete driveways. As Ground Source, we can help all your ideas come to fruition. This includes elaborate patterns for paving stones, along with effectively matching the theme and exterior décor of your home. As your premier paving experts in Central Florida, we have beautified numerous properties over the years including homes, businesses, commercial venues, and retail establishments. Because our professional designers are committed to excellence in all Orlando paving services you can never go wrong with Ground Source Pro. We also enhance front or backyards with ceramics, statues and even sparking waterfalls. Similarly, we add paving for entrances and exits leading to and from your yard, gardens, patio or other outdoor living spaces. If you have a large pool, we can add paving stones that protect and bring out the essence of your lounging areas. The same can also be done for trees and flower beds. As your specialty paving professionals for patios and all residential outdoor areas, we look forward to meeting all your landscaping needs within time and budget. Please feel free to contact us for more information or visit our website and social media pages.